What are the Alberta Oil Sands? The Alberta oil sands contain about 170 billion barrels of proven reserves, the third largest proven crude oil reserve in the world. 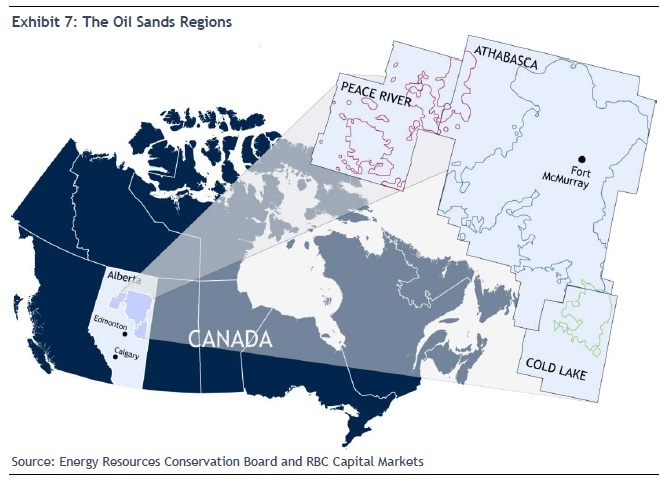 The two major differences between conventional oil & gas versus oil sands are: 1) oil sands will typically not flow under natural reservoir termperatures, therefore traditional extraction methods are insuffcient and 2) oil sands are a mixture of bitumen (heavy oil) , water and sand.